Nanjing Road (南京路; Nanjing Lu) is divided into Nanjing East Road (南京东路; Nanjing Dong Lu) and Nanjing West Road (南京西路; Nanjing Xi Lu) near People’s Square, and it is 5.5km (3.4m) long. Nanjing East Road is the part between the Bund and People’s Square. 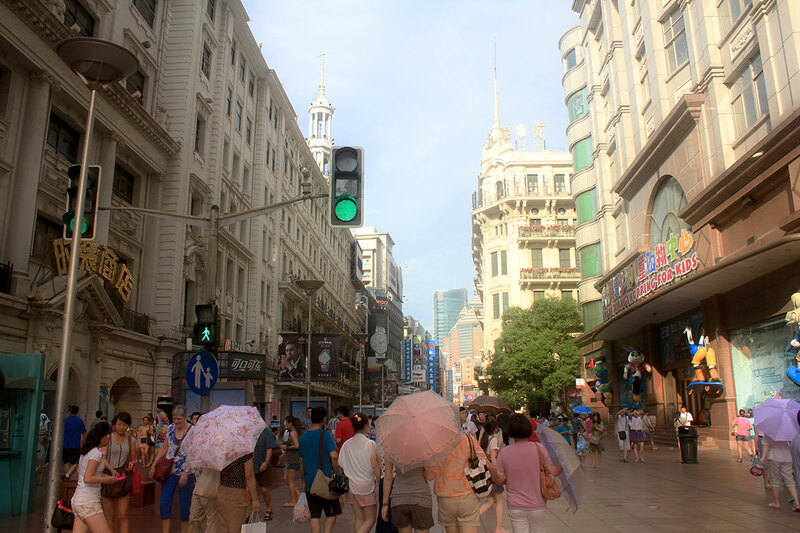 When you hear just “Nanjing Road”, it usually refers to this part of the street, which is pedestrian zone. This street is full of shops and well-known international brands, known for its large neon lights. 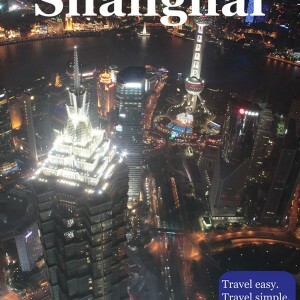 It is the most famous street in Shanghai, and it has everything that you need in order to feel the spirit of China, mixed with the western and modern. On one side, you may enjoy shopping popular brands, but on the other side shop handmade souvenirs, silk or jade goods, although this is not the best place in Shanghai to buy this kind of goods. Nanjing West Road is, however, much more convenient if you are interested in buying luxury brands, since it has much more shopping malls with such offers, than the East Road, which can satisfy the needs of those who are in love with Chinese culture and arts. It has a lot of places where you can shop, or just admire works such as calligraphy, paintings, or traditional medicine. In general, this street is always awake, no matter day or night, and it is impossible to go there without finding something for yourself.